Erden Eruc, who is the first Turk to cross the Atlantic Ocean by boat, is preparing to cross the Pacific Ocean, as part of "Six Summits" project. Erden Eruc who is the first Turk to cross the Atlantic Ocean by boat, is preparing to cross the Pacific Ocean, as part of "Six Summits" project. Eruc who will start his ride in May from San Francisco by bicycle, will get up the anchor in Seattle in July to sail towards Australia. The journey that is taking place with the sponsorship of Aktas Group is expected to last for 7 months. Eruc will cover 12.4 thousand kilometer distance through the Pacific, and is expected to reach eastern coast of Australia in the beginning of 2008. 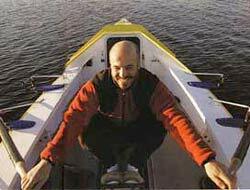 Eruc became the first Turk to pass the Atlantic Ocean with oars in 2006. Erden Eruc is the creator of the "Six Summits" Project, in the framework of which he will climb the highest summits on five different continents (except the South Pole) by human power, cross the oceans by rowing and travel to the highest peak on that continent by bicycle. In "six summits" project Eruc will start his circumnavigation by rowing across the Pacific Ocean, to eventually reach Australia, approach Mt. Kosciuszko by bicycle and climb it, bicycle to Geraldton on Australia's west coast, row from Geraldton to India, bicycle to Nepal, climb Everest (highest point), bicycle to Elbrus in Russia at its border with Georgia and climb it, bicycle through Georgia, Turkey, Syria to Jordan to touch the Dead Sea (lowest point), continue on to Tanzania by bicycle and climb Kilimanjaro, bicycle to Namibia, then row to Brazil, bicycle to Argentina to climb Aconcagua and return to San Francisco to conclude the human powered circumnavigation, then continue on by bicycle to Seattle. The non-profit charitable organization Around-n-Over will produce news and educational content about the journey as it unfolds, and will share its know-how for future human-powered challenges of similar nature. Eruc completed the first summit of his six summits project by climbing McKinley summit in Alaska, USA in 2003. 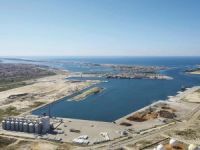 Yilport Holding adds Tertir to its portfolioYilport Holding, a subsidiary of Turkish group YILDIRIM, has announced completion of its acquisition of Portuguese terminal operator Tertir, adding a further 10 international ports to its fleet. 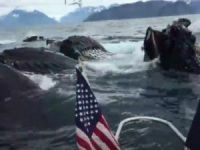 Incredible creatures under water!Quite the incredible video is making waves after a boater got a bit more than he bargained for. Taking place off the coast of Alaska, one man heard something below the surface of the water, but nothing could have prepared him for what was about to happen. 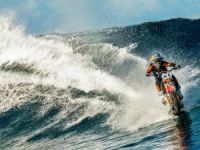 Surfing with a dirt bike !Amazing dirt bike! 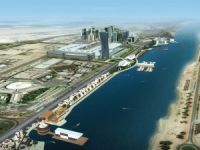 Abu Dhabi ports go digitalImport and export cargos can be tracked, cleared and booked online by customers as Abu Dhabi Ports Company prepares to launch new services. 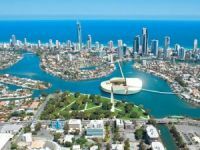 Mega Colombo Port City Development ProjectThe Ministry of Ports has taken steps to gear-up construction work on the mega Colombo Port City Development Project. 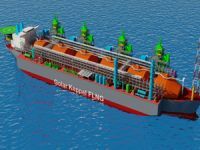 Golar LNG Starts Cameroon ProjectThis will be the first floating LNG export project in Africa and will see Cameroon joining the small number of LNG exporting nations.